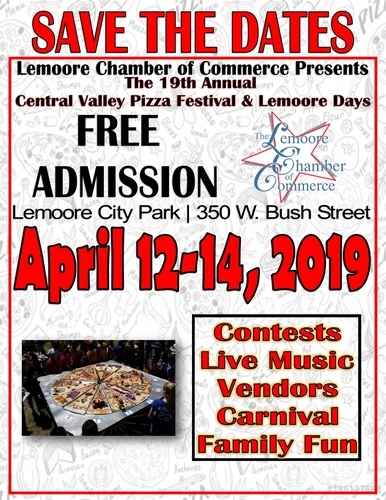 The Lemoore Chamber of Commerce would like to invite you & your family to The 19th Annual Central Valley Pizza Festival & Lemoore Days. Bring your family out for Pizza eating contests, Live Music, Food Vendors, Carnival & Family Fun! We are now accepting applications for vendors!